A couple of week’s ago we went over the basics of sin, cos and tan. Now it’s time to look at exact values! 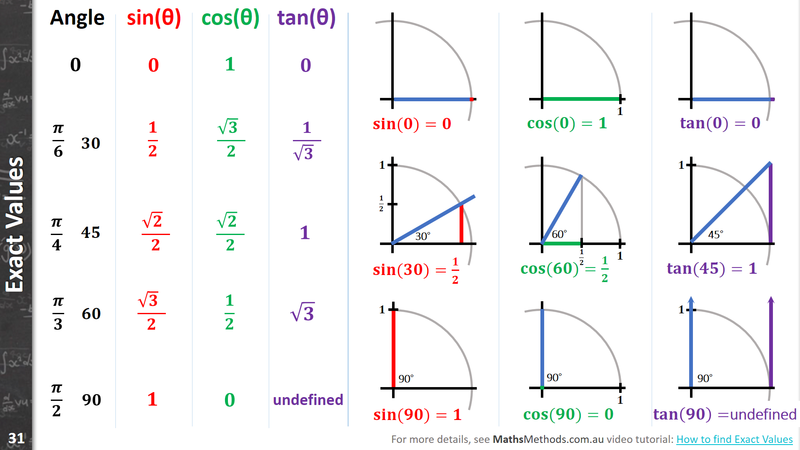 Here’s a diagram from The Ultimate Maths Methods Overview to show you how to how to visualise the exact values. This is such a useful chart and I hope you get a lot from it!